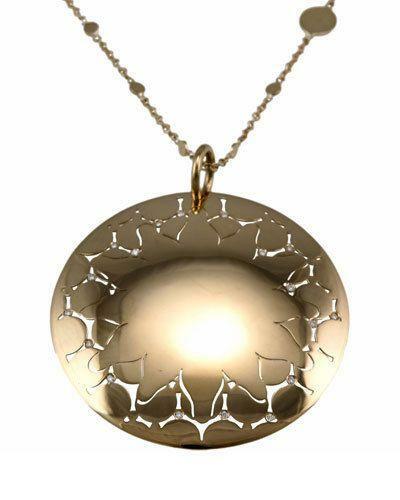 Pasquale Bruni round pendant necklace from the Cruise collection. 18-karat yellow gold. Constellation-etched pendant sides with diamond accents. 0.07 total diamond carat weight. Cable-link chain with solid stations. Lobster clasp with extender. Made in Italy.